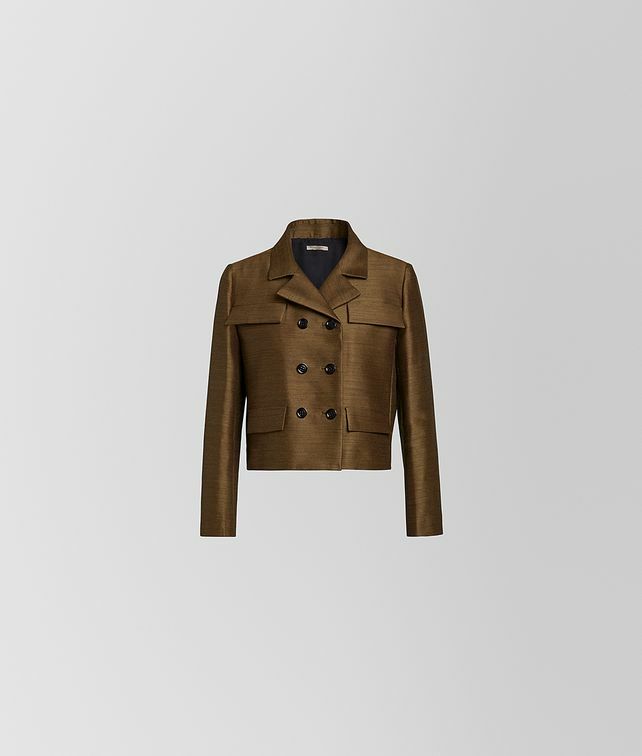 This richly hued, double-breasted jacket is made in a sophisticated blend of silk and wool in a “fil a fil” weave that gives the fabric a beautiful texture. The cropped jacket was featured in the Cruise 2019 presentation, shown with a matching skirt. Finished with four flap pockets.